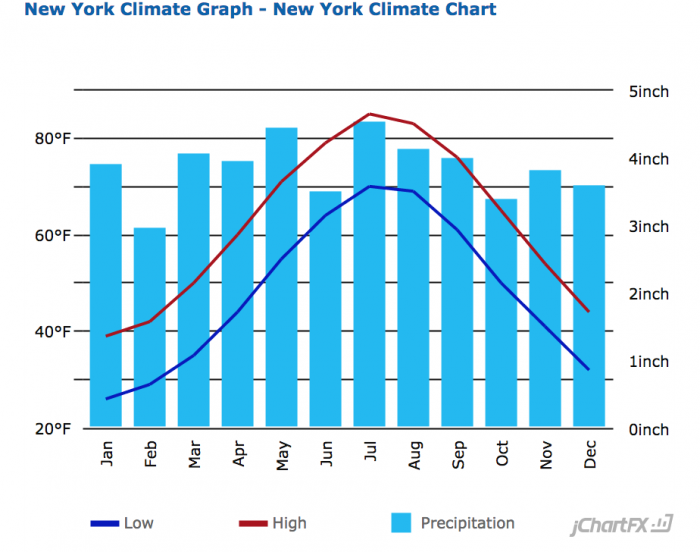 Most running guides to New York City focus on the island of Manhattan. 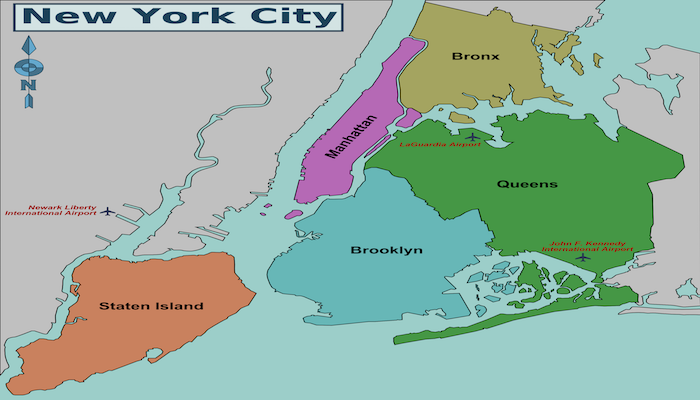 But New York City is composed of five boroughs: Manhattan, Brooklyn, the Bronx, Queens, and Staten Island. All of them offer some great running options, most accessible via public transportation. In this guide, we focus on the best places to run in the New York City Boroughs, New York. There’s also information on how to get to the routes and suggested areas to stay. 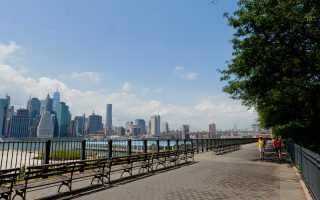 For information on the best running in in the New York City area, see our guide for Manhattan, and even across the river into New Jersey! Sort of a mini Central Park, this is the best green space option for running in Brooklyn. Many lovely paths and runner-friendly roads. Nice detour options into the brownstone-lined streets of Park Slope. This route along the Brooklyn waterfront showcases views of the Manhattan skyline, the Statue of Liberty and Brooklyn Bridge. The promenade is at the top of the hill and made famous in several movies. 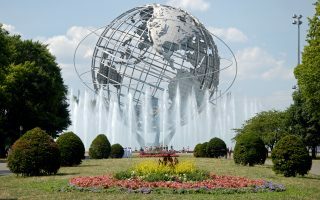 This loop features Citipark (NY Mets), the Queens Art Museum, Arthur Ashe Stadium (US Open — Tennis), and an array of art pieces left over from the World’s Fair. Extension option of 2.4 miles around Meadow Lake. 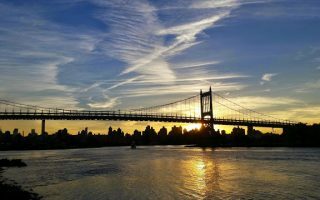 A wonderful resource for Queens runners and those Manhattanites willing to cross the Triborough Bridge. Wonderful view of the city skyline and the Triborough Bridge, in this lovely park. 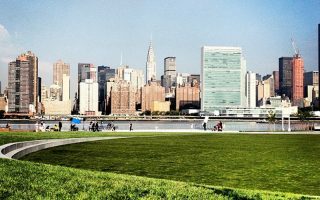 Waterfront park with great views of the East Manhattan skyline. 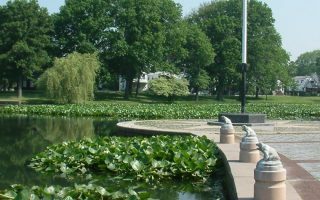 The park has lots of recreational resources, bikeways, a cafe, playgrounds, and more. This route is perfect if you’re staying at a JFK Airport area hotel. One can put together a lovely 3-mile mile perimeter loop, including Baisley Pond Park and its lovely pond. 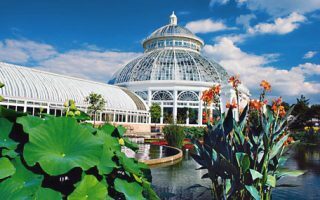 One of the most spectacular botanical gardens in the country. It is possible to run in here, especially the outer loop, which we’ve mapped out. We have also included a map of the botanical gardens. 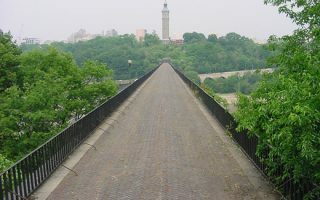 Recently re-opened after being closed for decades, NYC’s oldest standing bridge connects Manhattan to the Bronx at the Harlem River. 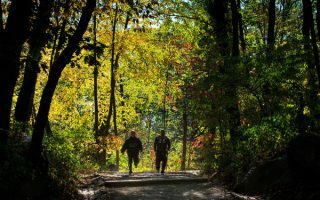 The run includes lovely Highbridge Park on the Manhattan side. 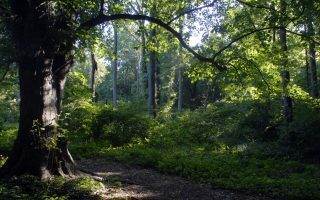 2800 acre greenbelt with 35 miles of trails, including a 2.6 mile ‘circuit’ trail and several other marked ‘loops’ of different distance options. We’ve mapped routes and included a trail map. 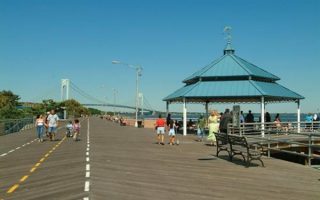 The 2.5-mile Staten Island Boardwalk runs along Staten Island’s own South Beach at the base of the Verrazano-Narrows Bridge, providing views of ships coming into the harbor, and the Atlantic. Great running, great views. Site of the 6-Hour Ultramarathon, a 2 mile loop that the winner usually completes around 25 times. 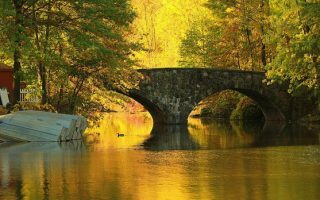 Park highlights include multiple lakes and ponds, outcroppings of serpentine rocks, and a 300 yr. old tulip tree. 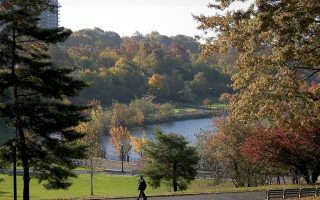 Originally created as Staten Island’s response to Manhattan’s Central Park and Brooklyn’s Prospect Park, Silver Lake Park provides abundant recreational activities amidst plenty of trails and open space. 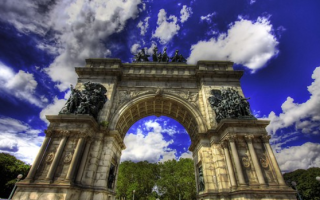 There are plenty of hotels located near Prospect Park and Green-Wood Cemetery on Union St and 4th Ave. And they’re generally cheaper than what one would find in Manhattan. Visitors at these hotels can easily run in Prospect Park and also have good access to public transit. Additionally, there are hotels located near the Manhattan and Brooklyn Bridges. Great running opportunities are accessible from these hotels as well. Staying near Williamsburg and Greenpoint forces you to travel a little bit to get to an iconic route. Finally, a few hotels are located near Coney Island. The majority of Hotels in Queens are located near the Queensboro Bridge. 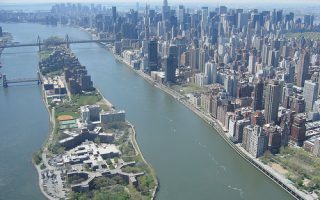 Staying in this area provides good access to Roosevelt Island, and easy public transit access to Hunter’s Point South Park and Astoria Park. Flushing houses another cluster of hotels, and good access to Flushing Meadows Corona Park. Finally, if near JFK Airport, check out Baisley Pond Park. The majority of the hotels are located along Rt 440 and interstate 278. All routes are accessible by bus from these hotels. 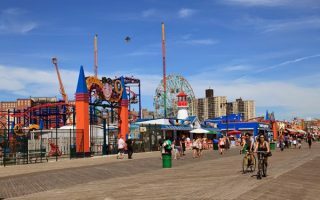 Additionally, a few hotels are located near the Staten Island Boardwalk with easy access to the Boardwalk route and beach running. 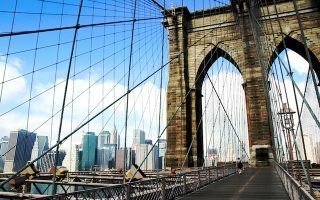 Unless you are staying in Staten Island for a specific reason, we would recommend staying in one of the other boroughs and commuting to these routes. Click on the NYC Running Overview map at the top of this page for more information on running stores and group runs in the Boroughs.